A letter from the Election Commission said Arvind Kejriwal's AAP has taken donations from hawala operators to the tune of Rs 2 crore, which were shown as "voluntary donations" in the records. AAP earlier got a clean chit in a case that accused it of receiving illegal foreign funds. 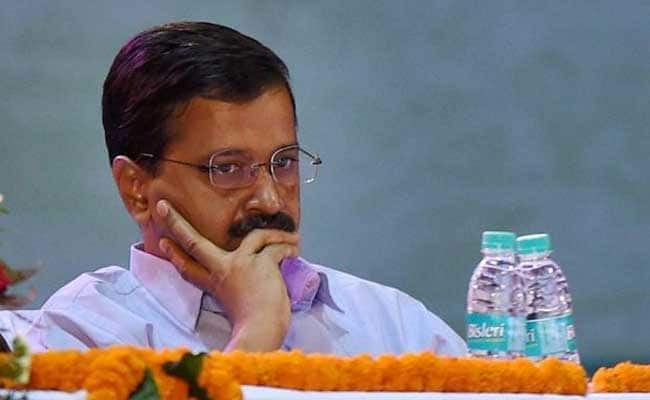 The Election Commission has issued a notice to Arvind Kejriwal's Aam Aadmi Party, asking them to explain discrepancies in donations filed by the party during the financial year 2014-15. The Commission has asked the party to explain the matter within 20 days, failing which, action could be taken against it. Under the rules, the Commission can suspend or withdraw recognition of a political party. AAP said the election commission's notice is "poor interpretation" of basic accounting practices. The Central agencies, it said, were biased and that it was apprehensive of possible "harassment". The letter from the Commission said AAP has taken donations from hawala operators to the tune of Rs 2 crore, which were shown as "voluntary donations". The party, the Commission said, also has not accounted for donations worth Rs 13.16 crore. In February 2015, AAP got clean chit from the Centre in another case that accused it of receiving illegal foreign funding. The Election Commission, in its letter, said the party has not observed transparency guidelines and the disclosure on its official website is incorrect. The notice said in the original contribution report for 2014-15 submitted by the party, "contains a list of 2,696 donors with the total donations amounting to Rs 37,45,44,618 and the revised contribution report shows the total amount as Rs 37,60,62,631 received from 8,264 donors". The poll commission said this year, a report from the office of the chairman of the Central Board of Direct Taxes spoke of "concealment of donations received by the AAP" during Financial Year 2014-15. In a statement, AAP treasurer and lawmaker ND Gupta said, "This notice is based on poor interpretation of basic accounting practices by the Central Board of Direct Taxes(CBDT)". Citing some anomalies in the commission's notice, he said it appeared to have "copy-pasted and referred grossly incorrect and biased observations" of income tax department. Even bank transfers between different state units of the party have also been treated as fresh donations, Mr Gupta said.